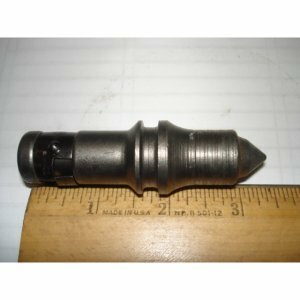 Rotary Claw Bits Overview – Mills Machine Company Inc. In 1978, Mills Machine Company started manufacturing Claw Bits under an agreement with Kennametal, Inc., the original patent owner of the KENCLAW® Bit. Mills Machine improved the original design by offering a one-piece heat-treated alloy steel body with special hard-faced blocks. This type of manufacturing allows the bit to be reworked many times over, extending the overall life of the bit. 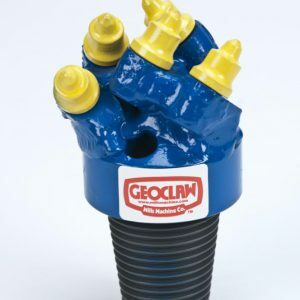 The KENCLAW® Bit is best suited for drilling in soft to medium formations and in unconsolidated formations of alternate layers of very soft clay and sand rock or hard shale. Whereas a drag bit would over-torque and possibly stall in these conditions, the KENCLAW® Bit excels. KENCLAW® Bits are available in sizes ranging from 3 1/2″ to 24″ in diameter and feature a variety of manufacturing options, such as Multi-Stage Reamers, Holeopeners, Circulating Pilot Bits, and Special Jet Circulation Configurations. 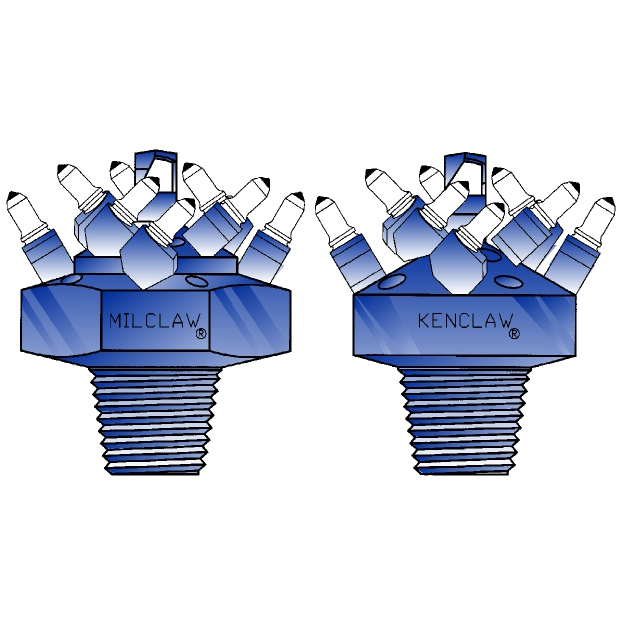 After many years of custom manufacturing KENCLAW® bits and four prototype testing phases later, Mills Machine created the MILCLAW® Bit, an improved, perfected version of the KENCLAW® bit. Protected by a U.S. Patent, as well as several International Patents, this claw bit features a triangular, multi-stage body design that provides better support for the cutters and enables it to cut through harder formations. 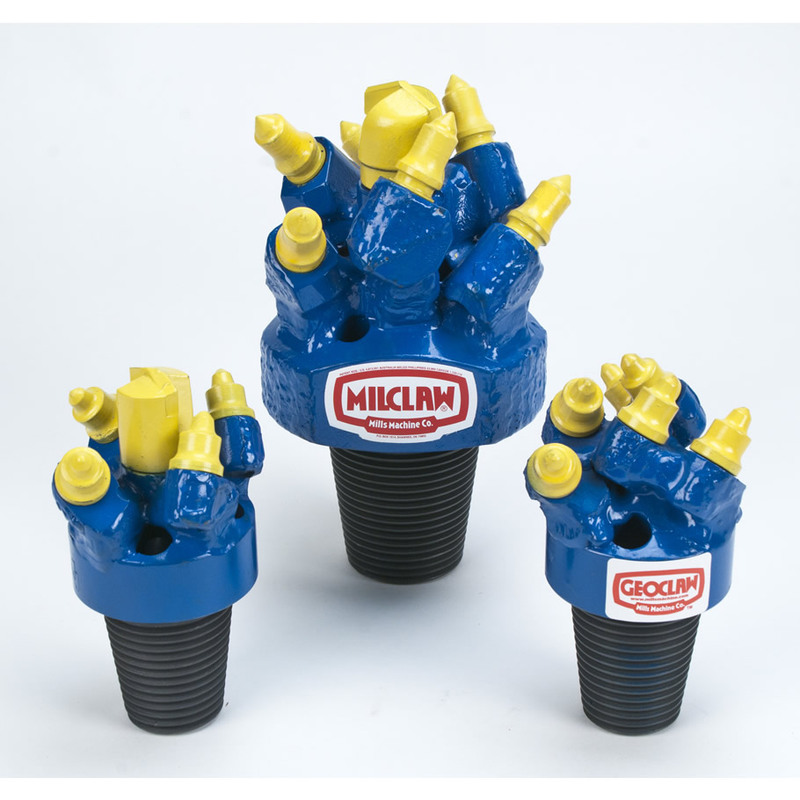 The MILCLAW® Bit is available in sizes ranging from 6 1/2″ to 24″ in diameter and is best suited for drilling in medium soft to medium hard formations. Both the MILCLAW® Bit and the KENCLAW® Bit have one circulation hole per cutter, in order to provide maximum hole cleaning, the MILCLAW® Bit design typically provides more footage from a set of cutters than the KENCLAW® Bit design. Additionally, experience and field test reports indicate that the MILCLAW® bit runs smoother and more efficiently with a ribbed stabilizer. The Mills GEOCLAW® Bit fills the nitch for smaller size bullet bits. Their construction is more versatile, and their performance is superior to the smaller bullet bits previously available. 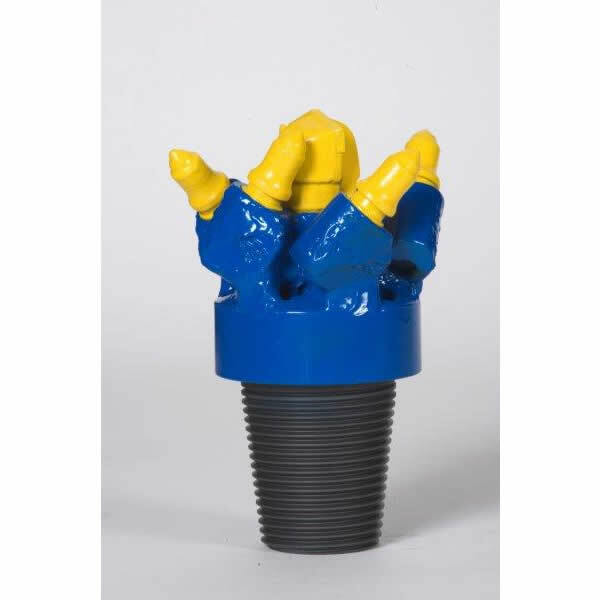 Mills GEOCLAW® Bits are available in a heavy-duty crossed-bit construction and a standard pilot bit form. 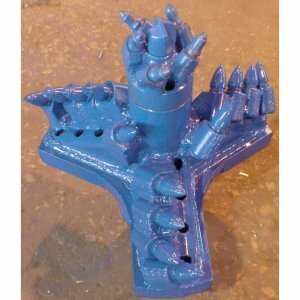 These unique bits fill an important need in the drilling industry. All of Mills’ Claw Bit designs offer rapid penetration, drilling time as fast or faster than that of a drag bit, and being as tough as a roller rock bit. They feature economical, inexpensive field-replaceable cutters. The conical bullet-shaped cutters rotate in their blocks to provide a self-sharpening effect, extending the life of the bit and reducing torque. KENCLAW® is a Registered trademark of Kennametal, Inc.
MILCLAW® is a Registered trademark of Mills Machine Company, Inc.
GEOCLAW® is a Registered trademark of Mills Machine Company, Inc.